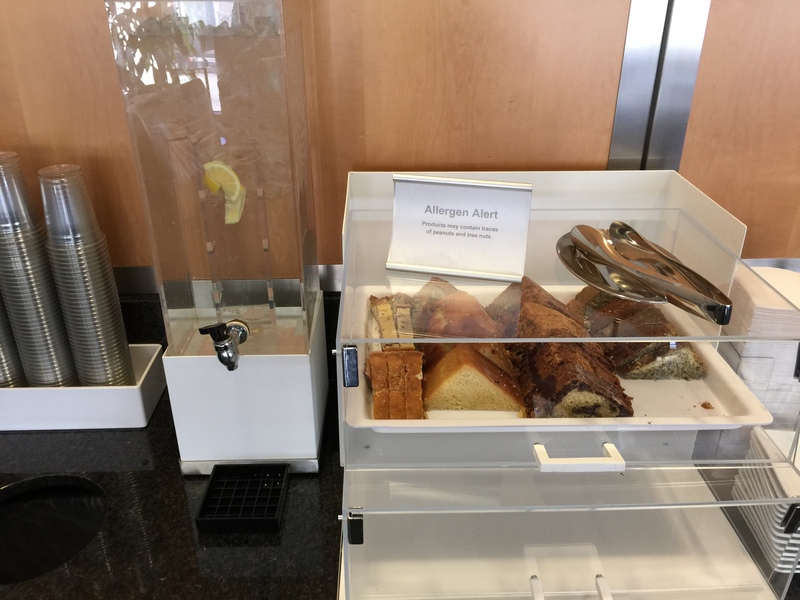 One dubious perk of my choice to take the long way home and try American Airlines’ First Class offering was the opportunity to experience the Admirals Club lounges, American’s airport oases from the chaos of travel. 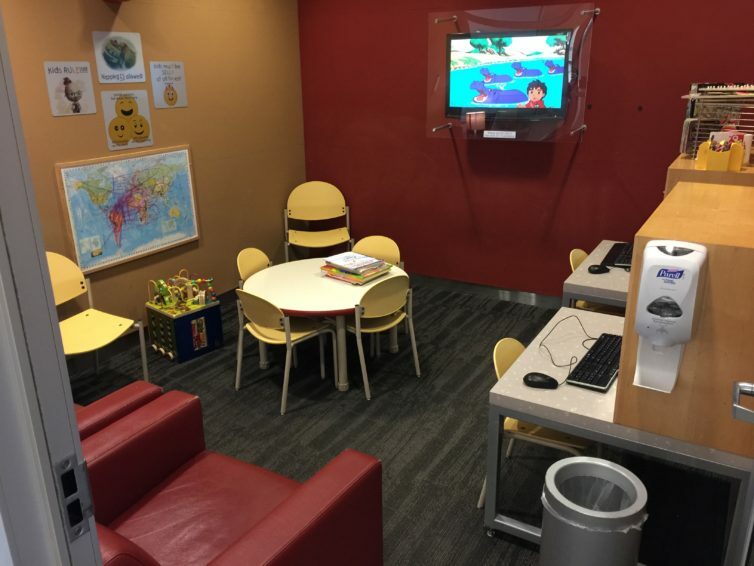 I don’t get a lot of opportunities to check out the big international lounges like Hong Kong Airlines or Etihad has on offer, so I jumped at the chance to hit three different Admirals Clubs in a day. First, for anyone whose travel itinerary involves a lot of layovers, the Admirals Clubs represent a great deal. A day pass costs $59, and is good across the American network. In my case, this allowed me to check into Boston for a couple of hours before my first flight, pop into the lounge in Charlotte for a quick refresher, then planespot in Chicago over appetizers. I checked into the lounge at Boston Logan around 8am. 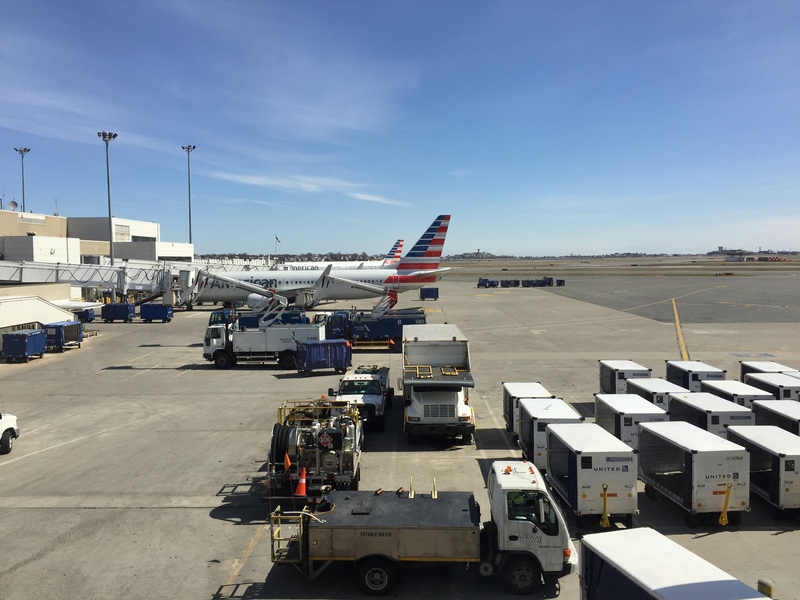 American actually operates two lounges at BOS, however, one of them was under renovation during my visit. 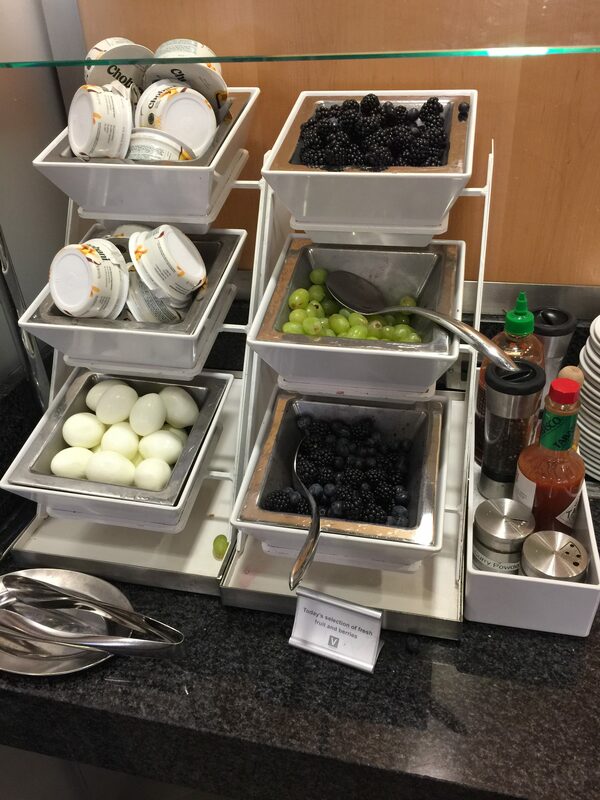 In the morning, several stations around the lounge feature a nice selection of light breakfast items. Fresh fruit, yogurt, cold cereal, pastries, milk, juice, hard-boiled eggs, and oatmeal make for some good complementary choices to start the day. I didn’t find the pastries to be anything special, but I’ve also never one to turn down a doughnut or cinnamon roll. 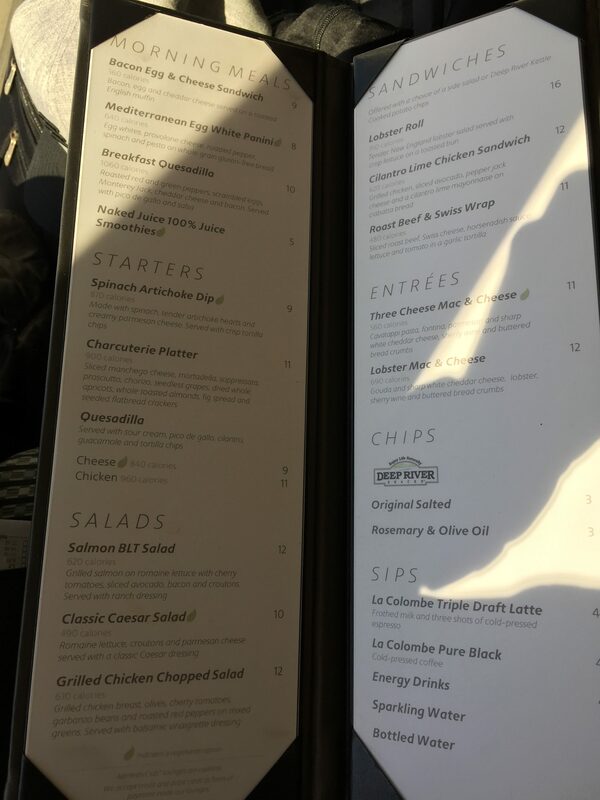 For an additional charge, guests can indulge in a larger meal. The bar also features several signature cocktails and wines, premium spirits, and beers. However, a selection of domestic beers, two house wines, and house spirits are included in the cost of entry to the lounge. 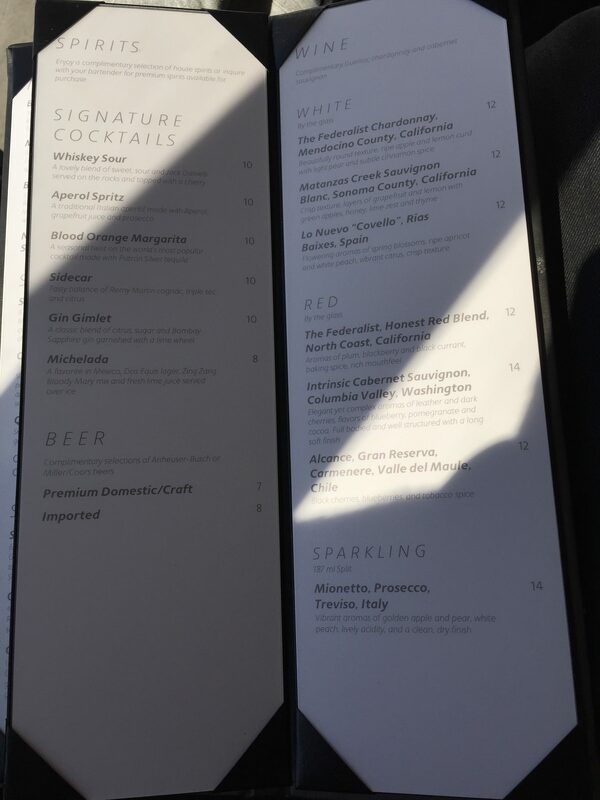 The signature cocktails sound pretty good, at least. Maybe next time. The Boston lounge features a large, well lit common area with plenty of windows to get a good view of both American’s operations in the same terminal and United’s aircraft across the ramp. Ample power outlets and comfortable seating are positioned near the windows, with more café-style tables and chairs near the large bar. Down one side of the lounge, a hallway leads to a quieter business section featuring privacy cubicles. Along the opposite hallway are bathrooms, a pair of showers, and a nice children’s area, complete with its own TV and a door that can be closed. For folks traveling with small children this is a really nice touch, though not a thing that’s available in every Admirals Club. I kind of wish they had an adult room like this next door. Sometimes coloring and watching cartoons sounds like the best travel plan ever. Since the pass had cost most of my discretionary travel budget for the day, I chose to skip the additional charge items, and enjoyed some fresh fruit and a glass of the house white wine, a Guenoc Chardonney. While I’m not an oenophile of any particular degree, I know what I like, and the Guenoc proved pretty decent. Light, a bit fruity, and not too dry, it proved a good compliment for the snack of blackberries and cheese that I selected to accompany my pre-boarding reading time. Stepping into the Charlotte lounge was an entirely different experience. Where the Boston lounge felt big and airy, the Charlotte lounge was much smaller, and felt like a relic from another era. A single long, narrow hallway led from the business center at one end, past the restrooms, a small bar and sitting area, through a center section with some soups and snacks, to another small sitting area. With most of the blinds on the west-facing windows closed against the afternoon sun, the whole lounge felt like it needed only a cloud of cigarette smoke to complete the sense of a portal back to the 1970s. Still, the WiFi worked, the bathroom was clean, and the chili was just the thing after the “meal” that I’d eaten on the flight from Boston. The Charlotte lounge wasn’t anything special, but it was a good place for a quick break on a short layover. The Chicago O’Hare lounge is a totally different story. As a major hub for American Airlines, their lounge in Terminal 3 actually comprises two different products: the Admirals Club, and the Flagship Lounge, a premium lounge for qualifying First and Business class customers. Both lounges are on different levels of the same terminal area. I didn’t qualify for Flagship, which can only be accessed by having a First or Business class ticket on qualifying international or transcontinental flights operated by American or their oneworld partners; being AAdvantage Platinum status or better while traveling on a qualifying international flight; having oneworld Emerald or Sapphire status; or holding ConciergeKey status with American. In Terminal 3, reception checks your access, then directs you to a bank of elevators. One floor is dedicated to the Flagship Lounge, the other is for the Admirals Club. 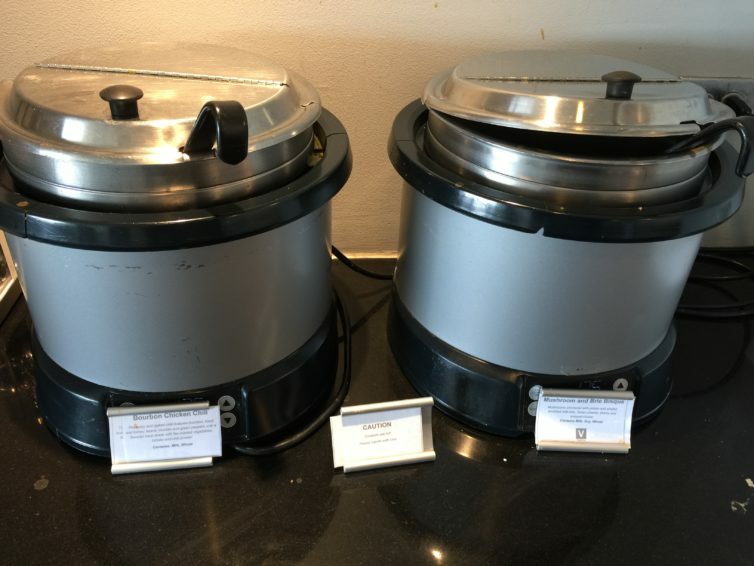 Despite being the more accessible product, the Chicago Admirals Club appears to share a lot of design cues with the Flagship Lounge. Wide open spaces, big bars, and dining areas on either end of the lounge are hallmarks of the design. The windows offer great views of a wide range of aircraft taxiing past, both for passenger and cargo operations. I picked out some cheese cubes and olives for a light meal, and, since I’d already sampled the Guenoc earlier, tried out a glass of the house Cabernet Sauvignon. Much like the chardonnay, the Cab was perfectly serviceable. Not a great wine, but inoffensive, not overly tart, with some nice hints of fig and blackberry. I may have had a couple of additional glasses. 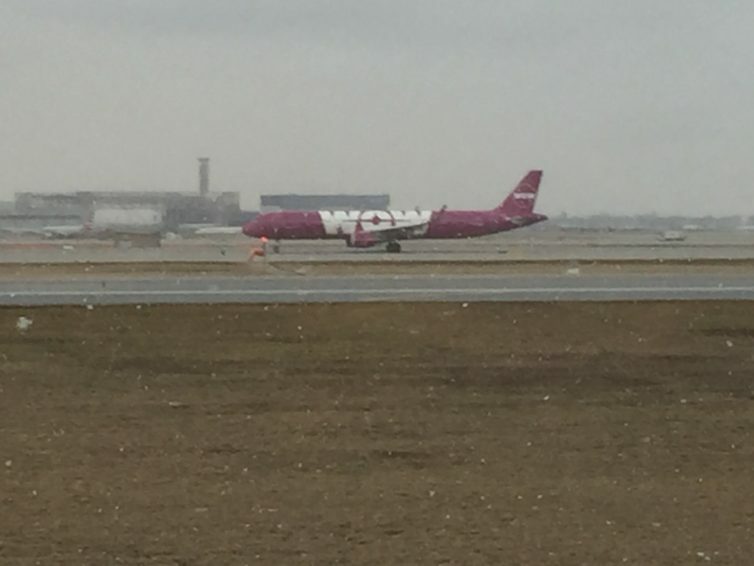 Truth be told, my Chicago time got lost in planespotting. My local airport doesn’t get anything heavier than the regular evening 767, so this was a rare opportunity to see some liveries I don’t often get to shoot. A few highlights included a bright purple WOW air A330-300, an SAS A340, and three different 747s! 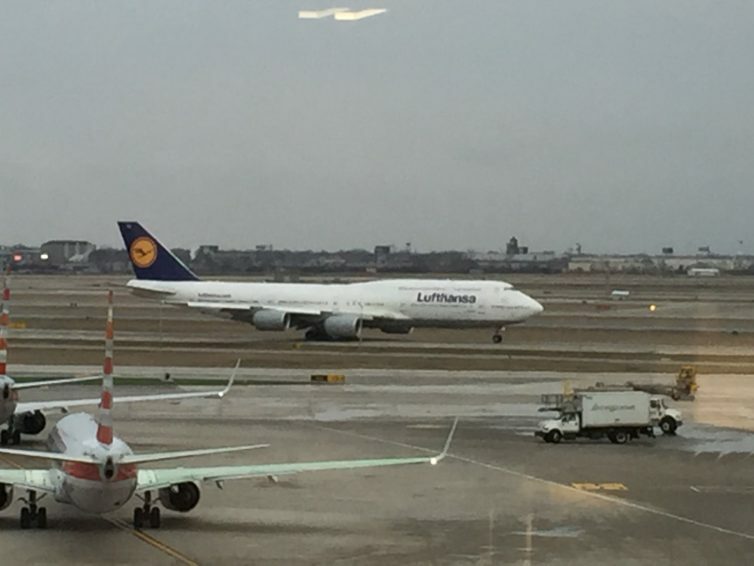 Of the Queens of the Skies, one was a CargoLux bird, another was Atlas Air, and the third appeared to be one of Lufthansa’s newest purchases. Compared to the premium products that a lot of international airlines have begun offering, most of American’s Admirals Clubs may seem a bit small and dated. The variation of the product from airport to airport seems to match the eclectic nature of the domestic fleet, and not in a good way. However, for a traveler who spends a lot of time traveling within the continental United States, or has a trip with one or more long layovers, these lounges can provide a much appreciated oasis from the chaos of most airports. 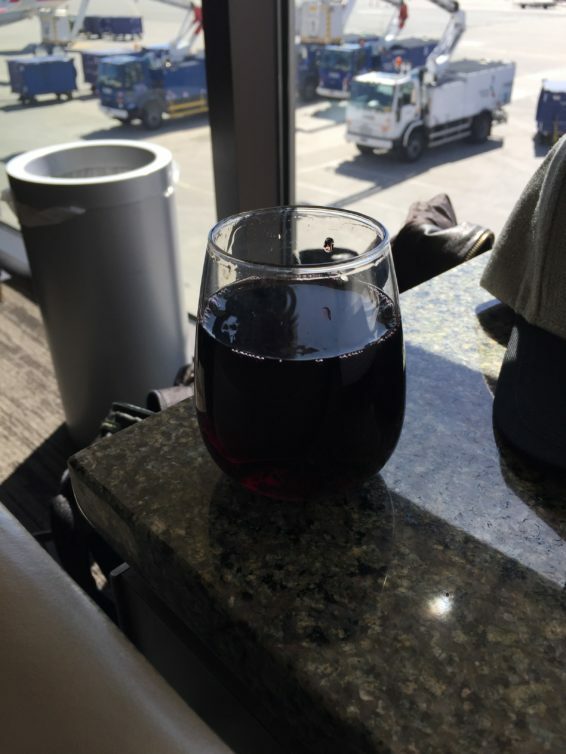 The day pass, in particular, represents an excellent value on a long travel day, when often all you want to do after a flight is to sit in a comfortable chair, sip a glass of wine, and check in on the free wifi. The post Lounging Like an Admiral – Exploring American’s Lounges appeared first on AirlineReporter.